PRICE REDUCTION! 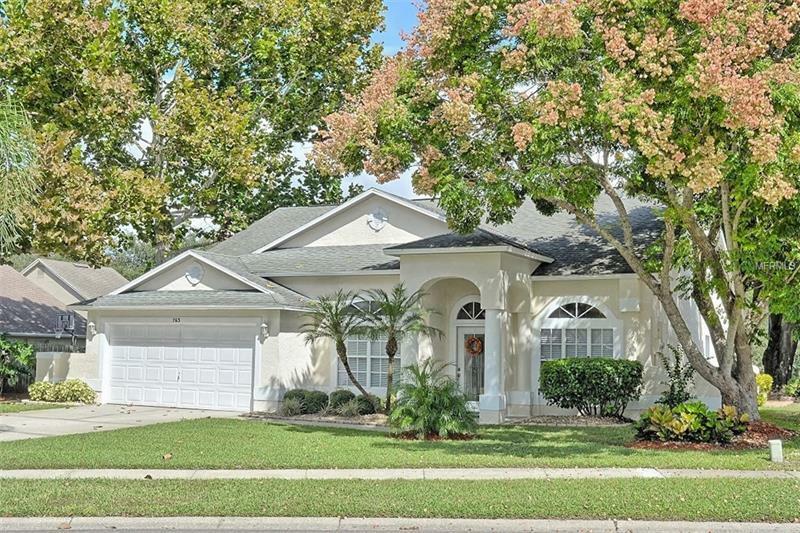 Stunning Home located in sought after "Hills of Lake Mary" neighborhood located on a cul-de-sac. This home is gorgeous and maintained like a model home. This home has it all. The floor plan is "OPEN" and features a large formal living room and dining room off the main foyer, open kitchen with bar and breakfast nook area all overlooking the open family room and heated in ground pool and lanai. The Master Suite boasts a garden bath with a separate shower and a walk in closet. The outdoor area is perfect for entertaining with a large covered and screened lanai and in ground pool featuring a jetted spa. Additional features include mature landscaping, inside laundry, fenced backyard, solar panel heated in ground pool and much more. The owners are currently using the Dining Room as a home office.